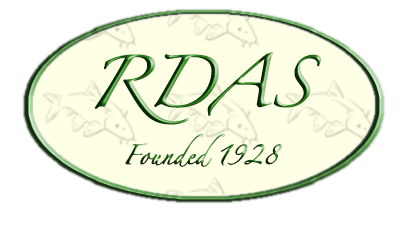 About us ,The Rowley and District Angling Society has been a successfully run Fishing club for more than 91 years providing quality fishing on the River Severn at Coalport. (Sat Nav post code ref TF8 7JF. This will take you to the top of the upstream section). We offer 2 ½ miles of the river in the famous Coalport Gorge on an exclusive estate in beautiful surroundings. Our stretch has in its length no less than 4 sets of rapids, these provide perfect spawning grounds for many species such as barbel, chub and dace. These rapids also provide highly oxygenated water in the Summer months during periods of low water levels. We have 104 well maintained pegs along the stretch, an important feature on our river stretch is the number of pegs we offer with single bank fishing. There are approximately 69 swims with no one fishing opposite you on the far bank. Club members also have access to a further 2 ½ miles of the river Severn above Shrewsbury, the Sabrina water on the Leaton Estate a wild and beautiful stretch of the river with excellent fishing. The river provides our members with excellent barbel and chub fishing to the usual Severn tactics of feeder or straight lead. The silver fish fishing is getting better every year and our members can enjoy good sport float fishing for these. We can offer salmon fishing on the water with many noted holding areas for them along the stretch. Our team of bailiffs patrol the river on a daily basis and are a mine of information to members on where is fishing well, they also deter any poaching. The Club also has Pheasant Pool on the same exclusive estate, a 2.2 acre lake in a delightful setting with a safe hard standing carpark The pool has a stream inlet and outlet, the dam at the outlet end provides comfortable fishing ( with a depth of approximately 8 foot) for the pole, float or feeder. There are 24 pegs around the pool. The pool boasts a good head of quality bream along with carp, roach, rudd, tench and chub. The Club has recently introduced a further stocking of chub which have thrived and are providing good catches in most conditions. There is no night fishing on the pool as this is a condition of the estate, there is also no night fishing on the river for the same reason. The Club runs regular Sunday contests throughout the season, 15 on the river and 14 on the pool all members are welcome to fish. The Club has a CEFAS certificate. The Club works closely with the Environment Agency and provides catch return data to the agency for their fish monitoring programme. The Club offers Full Members the availability of having a guest permit to take a friend to the water. These cost £5 and a member can have 6 of these per season. They are available from the Club Secretary Roy Woodhouse. As well as the web site and Facebook page the Club produces a newsletter to keep all members informed of what is happening in the Club. The Club has regular meetings at its headquarters in the Hill & Cakemore ex Servicemans Club. Victoria Road, Rowley Regis. B62 8HY every Friday night from 8.30pm onwards and all members are given a warm welcome.